For the British swimmer, see Gordon Downie (swimmer). Gordon Edgar Downie CM (February 6, 1964 – October 17, 2017) was a Canadian rock singer-songwriter, musician, writer and activist. He was the lead singer and lyricist for the Canadian rock band The Tragically Hip, which he fronted from their formation in 1984 until his death in 2017. Downie is widely regarded as one of the most influential and popular artists in Canadian music history. In addition to his career with the Tragically Hip, Downie released five solo albums: Coke Machine Glow (2001), Battle of the Nudes (2003), The Grand Bounce (2010), Secret Path (2016), and Introduce Yerself (2017), and a collaboration with the Sadies, And the Conquering Sun (2014). Gordon Downie was born in Amherstview, Ontario, and raised in Kingston, Ontario, along with his brothers Mike and Patrick, and sisters Charlyn and Paula. He was the son of Lorna (Neal) and Edgar Charles Downie, a travelling salesman, later a real estate broker and developer. In Kingston, he befriended the musicians who would become The Tragically Hip, while attending the downtown Kingston high school Kingston Collegiate and Vocational Institute. Downie formed The Tragically Hip with Rob Baker, Johnny Fay, Davis Manning, and Gord Sinclair in 1983. Saxophone player Davis Manning left the band and guitarist Paul Langlois joined in 1986. Originally, the band played cover songs in local bars and quickly became famous once MCA Records president Bruce Dickinson saw them performing at the Horseshoe Tavern in Toronto and offered them a record deal. Downie began pursuing a solo career with the release of Coke Machine Glow in 2001. He published his first poetry and prose collection alongside the album and under the same title. The backing musicians, credited as the Goddamned Band, consisted of indie rock band the Dinner Is Ruined, Josh Finlayson of Skydiggers and singer-songwriter Julie Doiron. 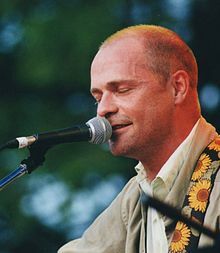 He released his second solo album, Battle of the Nudes, in 2003 before returning to the studio with the Tragically Hip. His third solo effort, The Grand Bounce, was released in 2010. Both it and Battle of the Nudes are credited as Gord Downie and the Country of Miracles. In addition to his solo works, Downie collaborated with several fellow Canadian and international artists. His most famous Canadian collaborations are with Richard Terfry (better known as Buck 65), Dallas Green of City and Colour and Alexisonfire, the Sadies and Fucked Up. Terfry collaborated with Downie on the song "Whispers of the Waves" off the album 20 Odd Years. Terfry composed the track and with the help of Charles Austen, his co-writer, decided Downie's vocals would be the best fit for their song. In 2008, Downie appeared as a guest vocalist on City and Colour's single "Sleeping Sickness". In 2014, Downie released an album with the Sadies called And the Conquering Sun. He commented on working with the Sadies, saying, "I enjoy getting together with those guys; it's a whole other universe. They're writing all the music and I'm writing all the lyrics and we're coming up with some neat stuff. You do it for the company but I'm genuinely shocked by the themes and things you touch based on the music you're singing to. That's really compelling to me." The album consists of ten songs. On February 2, 2017, Downie joined Blue Rodeo onstage at Massey Hall for a performance of Blue Rodeo's song "Lost Together". This marked his last public appearance before his death. Downie had cameo appearances in Men with Brooms, in which the Tragically Hip play a curling team. Downie also made a cameo appearance in the 2008 indie drama Nothing Really Matters, directed by Jean-Marc Piché. Downie also appears in the Trailer Park Boys movie The Big Dirty, in which he and Alex Lifeson play a pair of police officers. More recently, he and other members of the band appeared in the episode of Trailer Park Boys entitled "Say Goodnight to the Bad Guys", in which he is harassed while eating a bologna sandwich at a singles dance. Downie was also featured in the sitcom Corner Gas in the episode "Rock On!" in which the Tragically Hip are shown as a local band practising in the main character's garage. Colin James is also featured in the episode. Downie also appeared in Michael McGowan's 2008 film, One Week. A documentary film, Long Time Running, about the Tragically Hip's summer 2016 cross-Canada farewell concert tour, premiered at the Toronto International Film Festival in September 2017. Downie was heavily involved in environmental movements, especially issues concerning water rights. He was board member of Lake Ontario Waterkeeper. With Lake Ontario Waterkeeper, Downie helped work on a cause to prevent a cement company from burning tires for fuel. He was also a part of the Swim Drink Fish Music club, a project that unites artists and environmentalists in a music club to raise money for Waterkeeper organizations in Canada. In February 2012 in Fort Albany, Ontario, Downie and the Tragically Hip played at the Great Moon Gathering, a yearly educational conference that takes place in various communities along Northern Ontario's James Bay coast. Its focus is on youth learning and combining Cree education with the contemporary world. The venue was small and not typical of the band. Author Joseph Boyden, who invited them, said their motivation was to "initiate a guerrilla act of love for a people who are so thoroughly underrepresented but now, somehow, overexposed for only their shortcomings. A guerrilla act of love to show the rest of the country what strength and artistry, grace and humour the Cree possess." In addition to the Tragically Hip's performance, Downie sang a song with a local band, Northern Revolution. The song "Goodnight Attawapiskat" from the album Now for Plan A was a result of this trip. On October 13, 2016, Downie and his brother Mike, along with the Wenjack family, announced the founding of the Gord Downie and Chanie Wenjack Fund to support reconciliation between Indigenous and non-Indigenous peoples. The fund is a part of Downie's legacy and commitment to Canada's First Peoples. Chanie Wenjack was a young aboriginal boy who died trying to escape a residential school, who became the centre of Downie's Secret Path project. The Gord Downie and Chanie Wenjack Fund is a registered charity. At the Assembly of First Nations in Gatineau, Quebec, on December 6, 2016, National Chief Perry Bellegarde honoured Downie with an eagle feather, a symbol of the creator above, for his support of the indigenous peoples of Canada. Bellegarde also bestowed on Downie an honorary aboriginal name, Wicapi Omani, which is Lakota for "man who walks among the stars". Downie took to Parliament Hill on July 2, 2017, to speak out for Canada's young indigenous people, likening it to the same kind of pain young people suffered in the now defunct residential schools. On December 22, 2016, Downie was selected as The Canadian Press' Canadian Newsmaker of the Year and was the first entertainer selected for the title. In December 2017, Downie was again named Canadian Newsmaker of the Year for the second year in a row, in recognition of the public reaction to his death. Downie, along with his Tragically Hip bandmates, was appointed a Member of the Order of Canada on June 19, 2017, for "their contribution to Canadian music and for their support of various social and environmental causes". In December 2015, Downie was diagnosed with a terminal brain tumour. The Tragically Hip announced his diagnosis on their website on May 24, 2016. Doctors at Toronto's Sunnybrook Health Sciences Centre confirmed the same day that it was a glioblastoma, which had responded favourably to radiation and chemotherapy treatment but was not curable. Downie toured with the band in summer 2016 to support Man Machine Poem, the band's 13th studio album. The tour's final concert was held at the Rogers K-Rock Centre in Kingston, Ontario, on August 20 and was broadcast and streamed live by the Canadian Broadcasting Corporation on television, radio and internet. It was viewed by an estimated 11.7 million people. The tour was profiled in the 2017 documentary film Long Time Running, directed by Jennifer Baichwal and Nicholas de Pencier. A live concert DVD of the Man Machine Poem Tour's final show in Kingston was also released in 2017. In September 2016, Downie announced he would release a new solo album, Secret Path in October. The album was accompanied by a graphic novel on which he collaborated with Jeff Lemire, and an animated television film which aired on CBC Television. He also performed a few live shows to support the album, with supporting musicians Kevin Drew, Charles Spearin, Dave Hamelin, Kevin Hearn and Josh Finlayson. At the 6th Canadian Screen Awards in 2018, Downie posthumously won two Canadian Screen Awards for the television version of Secret Path. The program won the Donald Brittain Award for Best Political or Social Documentary Program and Best Music in a Non-Fiction Program. At the 7th Canadian Screen Awards in 2019, two additional awards were won by Gord Downie's Secret Path in Concert, the CBC Television broadcast of Downie's 2016 Roy Thomson Hall performance of the album. In September 2017, Downie announced what would be his final solo double-album titled Introduce Yerself; it was released posthumously on October 27, 2017. At the Juno Awards of 2018, the album won the Juno Award for Adult Alternative Album of the Year, Downie and Drew won Songwriter of the Year for "A Natural", "Introduce Yerself" and "The North", and Downie won the Artist of the Year. In a tribute to Downie at the Juno Awards ceremony, Sarah Harmer, Dallas Green and Kevin Hearn performed a medley of the album's title track with the Tragically Hip song "Bobcaygeon". In 2018, two additional posthumous recordings by Downie, "The East Wind" and "At the Quinte Hotel", were released on the compilation album The Al Purdy Songbook. Downie was married to Laura Leigh Usher, herself a breast cancer survivor. They had four children. Downie and Usher separated in 2015 before Downie's cancer diagnosis. Downie was the godson of Harry Sinden, a former hockey coach, general manager and president of the Boston Bruins. Gord knew this day was coming – his response was to spend this precious time as he always had – making music, making memories and expressing deep gratitude to his family and friends for a life well lived, often sealing it with a kiss ... on the lips. Gord said he had lived many lives. As a musician, he lived "the life" for over 30 years, lucky to do most of it with his high school buddies. At home, he worked just as tirelessly at being a good father, son, brother, husband and friend. No one worked harder on every part of their life than Gord. No one. Upon hearing the news, Prime Minister Justin Trudeau released a tribute statement on his official website. Later in the day, he held a press conference at Parliament Hill at which he tearfully remembered Downie as "Our buddy Gord, who loved this country with everything he had—and not just loved it in a nebulous, 'Oh, I love Canada' way. He loved every hidden corner, every story, every aspect of this country that he celebrated his whole life." Canadian MP Tony Clement called upon the government to consider holding a state funeral for Downie, stating "I think he matters that much to Canadians." The House of Commons observed a moment of silence. Downie was widely mourned in Canada. Several prominent Canadians, including actors Ryan Reynolds and Seth Rogen, Toronto mayor John Tory, singer k.d. lang and the rock group Rush, remembered Downie on Twitter. Additionally, several National Hockey League teams and players, as well as the league itself, paid tribute to Downie through social media, owing to the high popularity of the Tragically Hip's music among Canadian professional hockey players. The Toronto Maple Leafs honoured Downie with a moment of silence before their game on October 18, during which the retired-jersey banner for Bill Barilko – whom Downie had written about in the Tragically Hip song "Fifty Mission Cap" – was lowered from the rafters of the Air Canada Centre. Residents of the Ontario village of Bobcaygeon, which Downie had written about in the song of the same name, held a candlelight vigil for him the night after his death; a large public gathering also took place at Springer Market Square in the band's hometown of Kingston. In Kingston, Mayor Bryan Paterson issued a statement, laid a wreath in Springer Market Square near City Hall, and signed a condolence banner. Kingston Transit buses displayed "GORD, WE'LL MISS YOU" on their electronic destination signs, alternately with the regular route number and name display. Canadian radio stations also responded heavily to Downie's death, with early figures indicating the band's radio airplay on October 18 increased a full 1,500 per cent compared to a normal day. Most rock radio stations dropped regular programming to shift to an all-Tragically Hip format for the day; several, including CHEZ-FM in Ottawa, CFRQ-FM in Halifax, CJRQ-FM in Sudbury, CJQQ-FM in Timmins, CKEZ-FM in New Glasgow and CIKR-FM in the Tragically Hip's hometown of Kingston, even dropped their regular names to temporarily rebrand themselves as "Gord FM", and some further announced that they would continue the all-Hip format through the weekend until the morning of 23 October. Stations in other formats, such as contemporary hit radio, adult contemporary or country music, typically did not suspend their normal playlists, but still added some Tragically Hip songs to the day's rotation. "Ahead by a Century" was the single most-played song on Canadian radio on the day Downie's death was announced. CBC Radio, as well, preempted some of its regular programming in favour of a Downie tribute special hosted by Rich Terfry; although news of Downie's death broke just 20 minutes before airtime, CBC Radio One's entertainment magazine show Q also dropped its planned lineup in favour of a live Downie tribute special. In the wake of Downie's death, CTV also rescheduled the planned broadcast premiere of Long Time Running, a documentary film by Jennifer Baichwal and Nicholas de Pencier about the Man Machine Poem Tour of 2016, from November 12 to October 20, and CBC Television broadcast his solo Roy Thomson Hall concert of Secret Path on October 22. Arjun Sahgal, an oncologist with the Sunnybrook Hospital who had been involved in treating Downie after his cancer diagnosis, lauded Downie's strength and courage in continuing to tour, make music and use his fame to publicize both cancer awareness and indigenous reconciliation issues, and called Downie "a Terry Fox in the modern day". Our Power (2006): "Figment (Acoustic version)"
^ a b Genzlinger, Neil (October 18, 2017). "Gord Downie, a Distinctly Canadian Rock Star, Dies at 53". The New York Times. Retrieved October 27, 2017. ^ "Canadians mourn singer Gord Downie". October 18, 2017 – via www.bbc.com. ^ "Gord Downie- Albums". Retrieved 18 October 2017. ^ Barclay, Michael (2017-10-18). "Remembering the life and legacy of Gord Downie (1964 – 2017)". MacLean's. Retrieved 2017-10-19. ^ "Edgar Charles Downie Obituary". The Whig Standard. 2015. Retrieved 2017-10-19. ^ Barclay, Michael; Andrew, Ian; Jack, Dylan; Schneider, Jason (2011). Have Not Been the Same: The CanRock Renaissance, 1985-1995. ECW Press. ISBN 9781554909681. Retrieved 6 June 2013. ^ "The Tragically Hip". 2010 Canada Music Hall of Fame. Retrieved 29 March 2012. ^ "The Tragically Hip Biography". Starpluse.com. Retrieved 30 March 2012. ^ Wilson, MacKenzie. "Gordon Downie Biography". Yahoo! Inc. Archived from the original on 29 July 2012. Retrieved 30 March 2012. ^ "Gord Downie – The Grand Bounce". Gord Downie. Archived from the original on 7 March 2012. Retrieved 30 March 2012. ^ "NME Videos". Nme.com. 9 October 2015. Retrieved 14 December 2015. ^ McKay, Conor. "City And Colour: 'Sleeping Sickness'". NPR.org. Retrieved 19 October 2017. ^ Khanna, Vish. "Gord Downie Sheds Light on Collaborative Album with the Sadies". Exclaim!. Retrieved 30 March 2012. ^ "Gord Downie is 'Lost Together' with Blue Rodeo as he joins band onstage at Toronto show". CBC News, 3 February 2017. ^ "The Tragically Hip to debut tour doc, Long Time Running, at the Toronto International Film Festival". Q, 25 July 2017. ^ "Board / Stewards — Lake Ontario Waterkeeper". Waterkeeper.ca. Retrieved 14 December 2015. ^ "Media Alert: Lafarge denied: Cement company's motion for leave to-appeal denied in alternative fuels case". Newswire. CNW. Retrieved 18 April 2015. ^ "GreenHeroes : This Month Gord Downie, Mark Mattson and Lake Ontario Waterkeeper". Sustainability Network. Archived from the original on 22 April 2012. Retrieved 30 March 2012. ^ Boyden, Joseph (29 February 2012). "North of the 52nd with the Tragically Hip". Maclean's. Retrieved 30 March 2012. ^ Woods, Allan (2016-08-24). "Gord Downie and the Hip gone fishin' in northern Ontario". The Toronto Star. Retrieved 2017-10-18. ^ a b "The Gord Downie and Chanie Wenjack Fund". DownieWenjack.ca, 13 October 2016. ^ "Gord Downie on Twitter". Twitter, 13 October 2016. ^ "Secret Path". SecretPath.ca, 13 October 2016. ^ "AFN honours tearful Gord Downie". CBC News, 10 December 2016. ^ "Downie takes to Parliament Hill to speak out for Canada's Indigenous Peoples". TBNewsWatch.com. Retrieved 16 October 2017. ^ Friend, David. "Gord Downie chosen as Canadian Press Newsmaker of the Year". Global News. Retrieved 23 December 2016. ^ "Gord Downie chosen as top Canadian Press newsmaker for second consecutive year". The Globe and Mail, December 19, 2017. ^ "Gord Downie appointed to Order of Canada". CBC News. 19 June 2017. Retrieved 18 October 2017. ^ a b "Courage, my word: Tragically Hip's Gord Downie reveals terminal brain cancer diagnosis". CBC Music. CBC. 24 May 2016. Archived from the original on 1 March 2016. Retrieved 24 May 2016. ^ "Tragically Hip singer Gord Downie has terminal cancer, band plans tour 'for Gord'". CBC News. Retrieved 2017-10-18. ^ "Gord Downie underwent surgery for 'incurable' brain cancer, his doctor says". CBC News, 24 May 2016. ^ Noronha, Charmaine. "Canadian rock band The Tragically Hip holds final show". The Associated Press. Retrieved 21 August 2016. ^ a b "Gord Downie to release solo album, graphic novel next month". CTV News, September 9, 2016. ^ "What happens next", The Globe and Mail, January 5, 2017. ^ "Canadian Screen Awards 2018: Maudie, Anne, Kim's Convenience win top prizes". CBC News, March 11, 2018. ^ "2018 Canadian Screen Awards honour national media". CTV News Toronto, March 6, 2018. ^ "Gord Downie's Secret Path, Amazing Race and CBC News among Canadian Screen Awards winners". CBC News, March 26, 2019. ^ Vozick-Levinson, Simon (18 October 2017). "Gord Downie, a Canadian Rock Legend, Sings Goodbye". The New York Times. Retrieved 25 October 2017. ^ "Gord Downie to release solo album Introduce Yerself in October". The Globe and Mail, September 27, 2017. ^ Wong, Jessica (September 27, 2017). "Gord Downie to release new solo album Introduce Yerself". CBC News. ^ "Early Junos Go to Gord Downie, Grimes, Alvvays and More". Exclaim!, March 24, 2018. ^ ""Tragically Hip's Gord Downie has terminal cancer"". News 1130. 24 May 2016. Retrieved 26 August 2016. ^ ""Gord Downie Wife: Singer's Interview About Wife's Cancer Will Tear You Apart"". Huffington Post. May 25, 2016. Retrieved August 26, 2016. ^ ""Gord Downie says family life influenced new solo disc"". CTV News. 6 June 2010. Retrieved 26 August 2016. ^ "If Secret Path 'is the last thing I do, I'm happy': What happens to Gord Downie next". The Globe and Mail. Retrieved October 24, 2016. ^ a b Mazerolle, John. "Gord Downie, Canada's everyman rock poet, dead at 53". CBC News. Retrieved October 19, 2017. ^ Ubelacker, Sheryl (October 18, 2017). "Glioblastoma, brain tumour that took Gord Downie's life, tough to treat: doctors". Toronto. Retrieved October 19, 2017. ^ "Statement - The Tragically Hip". The Tragically Hip. Retrieved October 19, 2017. ^ Trudeau, Justin (October 18, 2017). "Statement by the Prime Minister of Canada on the death of Gord Downie". Prime Minister of Canada. Retrieved October 19, 2017. ^ "Justin Trudeau delivers emotional, tearful tribute to Gord Downie". Global News. Retrieved 2017-10-19. ^ Pedwell, Terry (October 18, 2017). "Justin Trudeau pays emotional tribute to Gord Downie: 'It hurts'". thestar.com. Retrieved October 18, 2017. ^ Harris, Kathleen (October 18, 2017). "'We are less as a country': Politicians pay tribute to Gord Downie". CBC News. ^ "Canadians mourn singer Gord Downie". BBC News. October 18, 2017. Retrieved October 19, 2017. ^ Lagerquist, Jeff (October 18, 2017). "Condolences pour in for Gord Downie, Tragically Hip frontman". CTVNews. Retrieved October 19, 2017. ^ "Hockey world mourns Gord Downie's death". ESPN.com. Retrieved October 19, 2017. ^ McLaughlin, Amara. "'You will live forever in the hearts of Canadians': Maple Leafs honour Gord Downie at ACC". CBC News. Retrieved October 19, 2017. ^ McKenna, Ryan (October 18, 2017). "Bobcaygeon residents feel special connection to Gord Downie". The Toronto Star. Retrieved October 19, 2017. ^ "Thursday’s Round-Up of News Surrounding the Death of Gord Downie". A Journal of Musical Things, October 19, 2017. ^ a b "'I'd wish for more of this,' Ottawans' tributes to Gord Downie keep coming". Ottawa Citizen, October 19, 2017. ^ "Red Deer radio stations crank up the Tragically Hip in wake of Gord Downie’s death". Red Deer Advocate, October 18, 2017. ^ a b "The Tragically Hip Week: Celebrating the Life of Gord Downie". CJRQ-FM, October 18, 2017. ^ "In Kingston, fans pay respects to Gord Downie". Toronto Star, October 18, 2017. ^ "Tragically Hip album sales, audio streams soar after Gord Downie's death". CTV News, October 23, 2017. ^ "Listen to a special Radio 2 broadcast celebrating the life of Gord Downie". CBC Music, October 18, 2017. ^ "Gord Downie (1964-2017)". Q, October 18, 2017. ^ "Tragically Hip’s ‘Long Time Running’ documentary to air Friday on TV". Toronto Star, October 19, 2017. ^ "Gord Downie 'like a Terry Fox in the modern day,' says doctor". CTV News, October 19, 2017. ^ "Canadian Albums". Billboard. 12 November 2016. Retrieved October 23, 2017. ^ "Downie, The Hip, Kelly Clarkson Hot On The Albums Chart This Week". FYIMusicNews. Retrieved November 6, 2017. ^ "Future Releases on Triple A (AAA) Radio Stations". All Access Music Group. Archived from the original on 27 February 2014.